Justice Breyer delivered the opinion of the Court in Cuozzo. In a unanimous decision delivered by Justice Breyer in Cuozzo Speed Technologies, LLC v. Lee, the United States Supreme Court upheld the United States Patent Office’s regulation requiring the Patent Trial and Appeal Board to apply the broadest reasonable interpretation (BRI) standard in Inter Partes Review (IPR) proceedings. The Supreme Court also held that the Patent Office’s decision to institute an IPR proceeding is not appealable to the Federal courts. The Federal Circuit in Cuozzo Speed Technologies upheld the Patent Trial and Appeal Board’s use of the BRI standard in IPR proceedings. The Federal Circuit held that, because the BRI standard has been approved in other types of Patent Office proceedings, including initial examinations, interferences, and post-grant proceedings, such as reissues and reexaminations, the use of the BRI standard in IPR proceedings was proper. The Federal Circuit further held that there was no indication that the AIA was designed to change the claim construction standard that has long been applied in such other types of PTO proceedings. The divided panel of the Federal Circuit also held that the Patent Office is immune from judicial scrutiny, even on appeal from a final decision rendered by the PTO pursuant to an improperly instituted IPR proceeding. In evaluating the BRI standard, the Court relied on 35 USC §316(a)(4), granting the Patent Office authority to issue “regulations…establishing and governing inter partes review.” The Court interpreted this grant of authority in light of the decision in Chevron U.S.A., Inc., which held that “where a statute is clear, the agency must follow the statute.” The Court ultimately found that that §316(a)(4) is ambiguous, therefore allowing for the Patent Office to issue rules “governing inter partes review.” Finally, the Supreme Court held that the BRI regulation represents a reasonable exercise of rulemaking authority that Congress delegated to the Patent Office. The Court, in finding that the Patent Office’s decision to institute an IPR proceeding is not appealable to the Federal courts, found that the text of §314(d) expressly states that the Patent Office’s determinations whether to institute inter partes review “shall be final and nonappealable.” The Court further held that a “strong presumption” favoring judicial review is overcome by “clear and convincing” indications that Congress intended to bar review. EDITOR’S NOTE: Much more commentary and analysis of the Supreme Court Cuozzo decision will be forthcoming over the next several days, weeks and months. Already in the works is an article with industry reaction to the decision, which we hope to publish this evening. Stay tuned! I was right in my prediction for BRI. That was an easy call. For the second part, it appears they did not address my prediction that they would hold the non-institution of an IPR non-reviewable as unconstitutional. Regarding industry reaction: Efficient infringers: overjoyed. 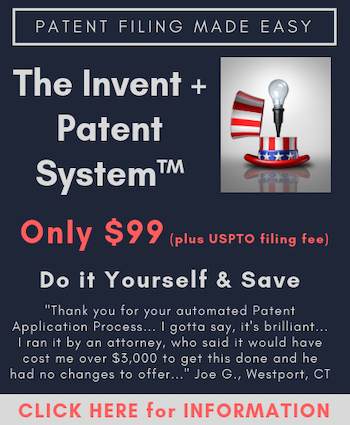 Patent owners: shock and dismay. No legislation is going to overturn Cuozzo given who will oppose. There is just one, just one, vehicle left to save the American patent system. MCM Portfolio LLC v. Hewlett-Packard. Ned — Cooper v Lee remains pending as well. David, of course. But the two are really linked, not so? Ned – it’s certainly beginning to look that way. And as I predicted, that did not do so because they were not asked the right question. Let’s see if those who like to imagine that they are the “last chance” come to grips with exactly what that right question is. Sotomayor J. is outraged by deprivation of 4th Amendment rights of drug dealer but not by undue-process taking of inventor rights. Then again, all inventors are subhuman “trolls” who deserve no more than the one fleeting nibble at the apple during IPR witchcraft inquisitions. A Pharma has the cure for Zika, but they will only sell it privately to wealthy individuals and make it available internally. Why would a Pharma company attempt to patent new medicine when they will be targeted for an IPR and stock shorted. America, eat your innovation cake. @7 step back: I think Sotomayer is right. And I think the fact that the justices are willing to throw away our 4th Amendment rights shouldn’t be surprising given Alice. They seem to act now out of their views on public policy and not based on the Constitution. By the way, think of the implications of this decision. Over 50 percent of poor people have some outstanding fine in minority areas. So, it means pretty much the police can just strip search a poor person ’cause they feel like they might have something on them. Shameful. More than anything….it appears the primary issue which swayed many of the majority was simply that Cuozzo was a poor vehicle for arguing the issue because the PTO’s use of BRI wasn’t CLEARLY ‘unreasonable’ in this particular case. The Justices appeared to think that even the “ordinary meaning” of the claims would have also been invalid. Had this been a case where the federal court had already weighted in that the patent wasn’t invalid and then the PTO invalidated the patent under BRI….the results may well have been different. Do people think that the SCOTUS resolved the issue of whether NOT instituting the IPR is Constitutional if not appealable to a federal court?